Nintendo Gameboy consoles bring a lot of memory for many of us. This classic vintage handheld gaming console was one of the most desirable gadgets a specific generation of kids, and the games played on that tiny little plastic console have compiled a long pile of memories that will never have any rust, or fade. Gameboy Advanced was immensely popular after its launch, and the popularity of it remained pretty intense until the modern gaming consoles have started emerging in the market. 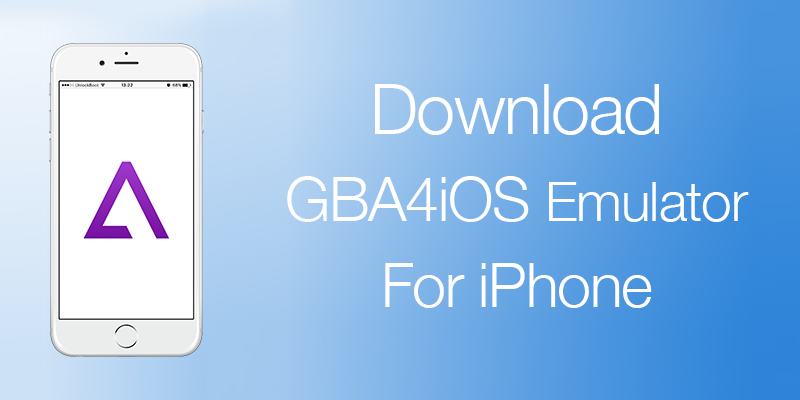 Read on to learn how to download GBA4iOS emulator on iPhone without jailbreak. If you download GBA4iOS emulator on your iPhone, no one even has to be nostalgic over the childhood games they had played on their adored Gameboy Advanced consoles, because those could be played again on an iOS device, preferably on iPhone using GBA4iOS emulator. The GBA emulator creates an environment for the Gameboy games to run on iOS platform. The best part about GBA4iOS is, there’s no need of having a jailbroken device in order to install GBA4iOS and play Gameboy Advanced games on it. 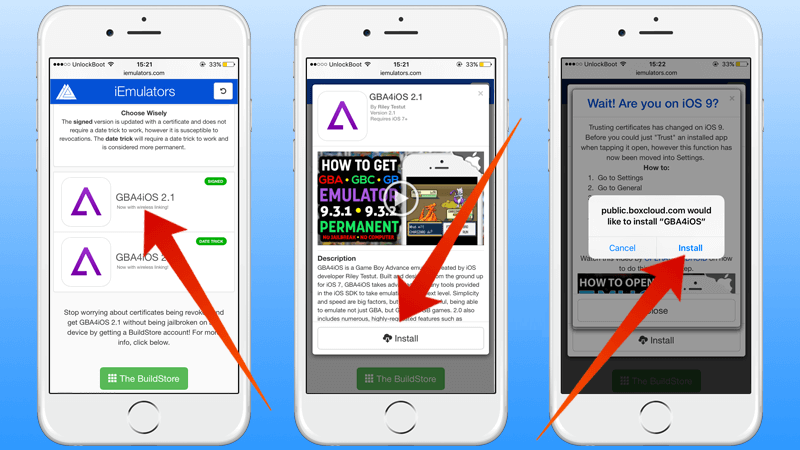 Before you proceed with the download, make sure your iPhone is updated to the latest iOS version, to be able to run GBA4iOS emulator smoothly. The emulator is very healthy, it doesn’t really drop the frame rates or provide poor performance while gaming, but having a backdated iOS version could trigger GBA4iOS to create trouble. Safest bet is to have the iOS updated to the latest version. Go to iemulators.com/gba4ios using any web browser on your iPhone. Since it’s an iPhone, we would suggest using Safari for better downloading capability. However, a user could use any other browser of their browser which shouldn’t be a problem. Tap on the GBA4iOS 2.1 icon, and then tap Install to start the installation. A pop up should appear, confirm the download from within the pop-up box. The installation process for GBA4iOS emulator should begin, and will be complete momentarily. The user can now proceed with downloading Gameboy Advanced games and playing them on their iPhones. Note: If you see the Untrusted Enterprise Developer error, You need to go to Settings -> General -> Device Management -> Click on the Profile -> Trust the certificate and try to install GBA4iOS again. GBA4iOS download and install process is pretty easy. If you have any troubles, below is a video guide on how you can download GBA4iOS emulator on your iPhone with iOS 12.1, 12, 11.3.1, 11.3, 11.2.5, 11.2, 11.2.1, 11.1.1, 11.1, 11, 10.3.3, 10.3.2 or iOS 10.2 firmware. In case you have a jailbroken iPhone, the installation would go even smoother but that doesn’t necessarily imply non-jailbroken devices are defied of walking down the memory lane. In fact, jailbreak would not be much of an influencing factor while installing the GBA4iOS emulator. 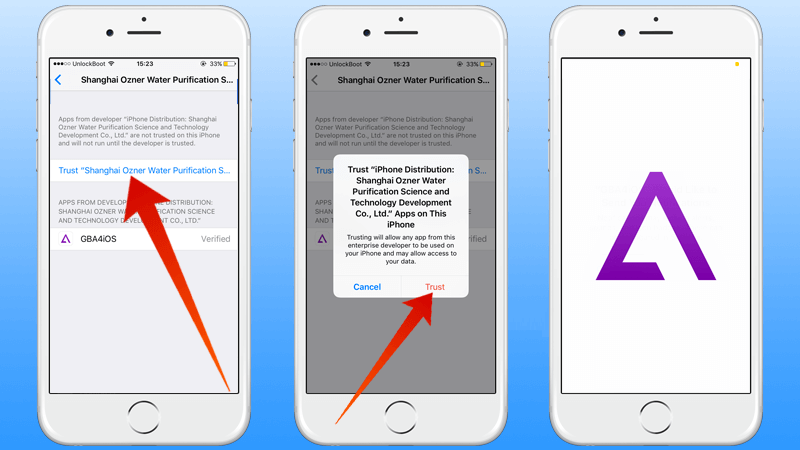 The jailbreak tool was released recently for the old iOS version; a user could easily jailbreaking without knowing many technical details using Pangu. Open Cydia from your springboard. Tap Install to download & install the app. Tap Reload Springboard to respring. The supported variants of iPhones are – from iPhone 4s to the above generations, iPad Air and above, iPad Mini and above and the iPod Touch. If your device falls within this supported devices list, downloading and installing the emulator GBA4iOS isn’t much difficult. Conclusion: GBA4iOS emulator hasn’t been reported to consume memory very aggressively, however you might still want to keep a look on the number of downloaded games. Hope you enjoy your trip down the nostalgic arena.